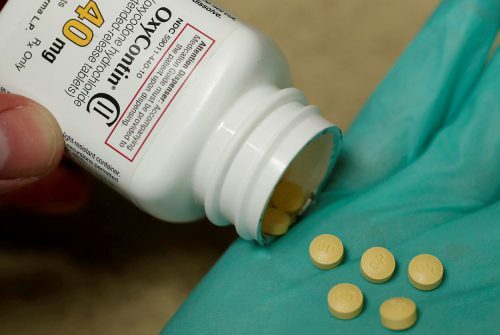 The Texas Attorney General’s Office says Purdue Pharma fueled “the nation’s opioid epidemic by deceptively marketing prescription painkillers,” including OxyContin. While the state is planning to sue, Paxton said the main issue now is getting injunctive relief from the courts so that Purdue would have to stop misrepresenting their drugs. Paxton said he’s leading Texas to sue Purdue for several reasons, including for lying to doctors and patients about the possibility of increasing opioid dosages without risk, falsely representing that common signs of addiction are signs the patient needs higher opioid dosages and misrepresenting the risk of becoming addicted to the company’s abuse-deterrent formulation OxyContin. “There’s nothing like talking to a mom who’s lost her son from an overdose,” Paxton said. Dozens of county and city governments across Texas have also lawyered up and filed lawsuits against pharmaceutical companies. Law firms competing to represent the smaller governments say the companies oversold the drugs’ benefits for treating chronic pain and downplayed the risk for addiction. Those lawsuits are also vying for drug companies and distributors to reimburse counties and cities for the cost of opioid problems, including treatment, lost productivity, emergency room costs and more.